Color is a powerful tool inside any art, but photographers are limited to just the colors they see — or are they? Using Photoshop, it’s easy to swap out one color for another, say, to turn a red car blue. Replacing colors and getting realistic results is tricky, but, using an adjustment layer, the process actually only takes a few minutes. 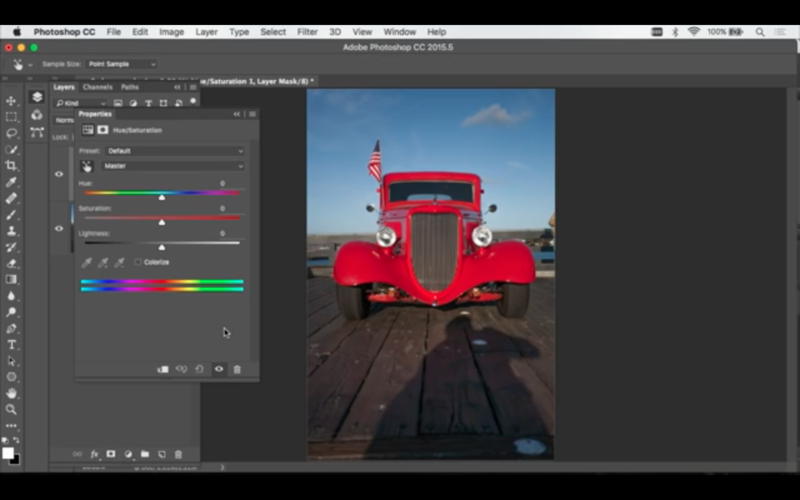 Watch as Ben Willmore demonstrates how to replace colors in Photoshop with both a quick method and a more accurate technique. You can create a impressive professional assets using Adobe Stock. Learn how it’s done. Creating a hue and saturation adjustment layer brings up a new window with different color options. To swap out colors, first you need to tell the computer what color you would like to adjust. The simplest way to do that is by selecting the hand tool within the adjustment layer panel, then clicking within the photo on the color you would like to swap. You’ll see some of the color options change as you click — the drop down menu at the top will select a color channel, red in this case, and the colored slider at the bottom will also automatically adjust. With the color selected, use the hue, saturation and lightness sliders to adjust the color. Hue will make complete color changes, while saturation effects how vivid the color is and lightness adjusts the shade of that color.